For those that like less-congested roads, one alternative to Interstate 90 when traveling east-west in South Dakota is the Oyate Trail. Oyate (oh-YAH-tay) is a Dakota/Lakota Sioux native word meaning "people" or "nation." Ochanku (oh-CHANG-koo) means "well-traveled road." So Oyate Ochanku or Oyate Trail means "well-traveled road of nations." If you are getting the idea that the 388-mile Oyate Trail travels Native American lands, you are correct. Reaching from North Sioux City in the east to Edgemont in the west, the Oyate Trail passes through the Pine Ridge, Rosebud and Yankton Indian Reservations. The trail mainly utilizes parts of South Dakota Highways 50 and 18. More info and a map are available at www.oyatetrail.com. 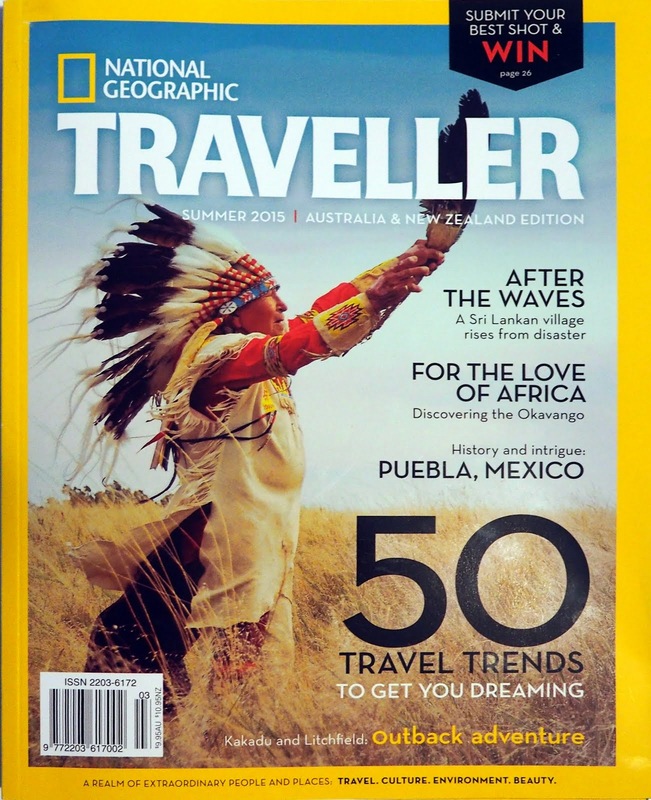 Along the way, you will encounter several historic sites important to both Lakota/Dakota Sioux Indians and later immigrants with many photo opportunities. As most Oyate Trail travelers seem to move east to west, we will follow that direction as well. Spirit Mound, six miles north of Vermillion on South Dakota Highway 19, is a conical hill with a hiking trail to the top. It was described to explorers Lewis and Clark as being inhabited by tiny devils who would kill anyone who came near. Of course, they had to go see for themselves, and bravely hiked to the top. Their voyage "proceeded on" with no devil encounters. I had a similar experience while visiting with Lewis and Clark reenactors. I would suggest morning light for best pictures here. 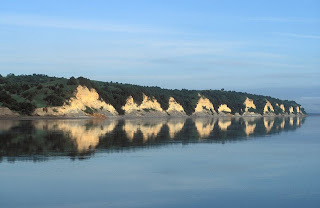 Lewis and Clark's travels through this area also lead to their name being bestowed upon the large reservoir on the Missouri River west of Yankton. Gavins Point Dam backs up Lewis and Clark Lake, which has some spectacular chalkstone bluffs on both the South Dakota and Nebraska sides of the river. 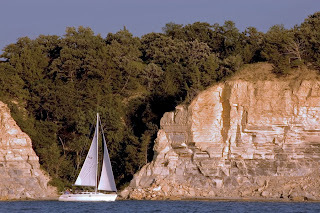 A boat gives the best photographic angles on the bluffs, but there are many vantage points from land as well. The lake is also very popular with sailboats of all sizes, and they make great photo subjects. Continuing west the Oyate Trail runs right past Tabor, home of Czech Days . Click on Czech Days in the topic list at right for full information on this extremely colorful festival. From this point on along the trail, wide angle lenses and polarizing filters become very useful. Huge open vistas are the norm for the next 200 miles or so. The trail crosses the Missouri River at Pickstown and the Fort Randall Dam. There are many scenic viewpoints overlooking the river valley, and on the west side of the dam is the crumbling remains of the fort. 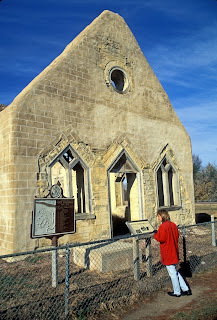 The main thing still standing is what's left of the Fort Randall Chapel. A walking tour of the fort grounds reveals building foundations, etc., but not much to shoot photos of. A metal roof was placed over the chapel in recent years to prevent further eroding, so this open view of it is unfortunately no longer available to photograph. East of the town of Gregory and just south of South Dakota Highway 18 is the Oscar Micheaux Homestead (there is a sign at the turn). Oscar Micheaux was unusual in this part of the country as a black pioneer who also became one of America's first black filmmakers. 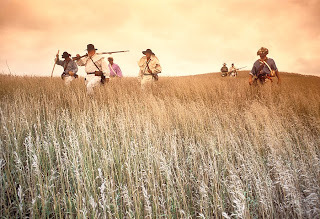 His homestead has been recreated on the actual property he owned. 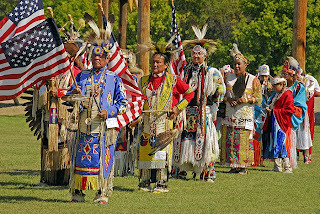 See my earlier post on powwow photography for tips on shooting and etiquette. For many photographers, the wide open spaces of western South Dakota's prairie can be a powerful draw. 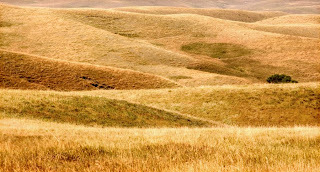 Vistas of the grasslands and rolling hills are to be found throughout the Rosebud and Pine Ridge reservations. Often times, late afternoon thunderstorms make dramatic skies. Typically the storms don't last long and waiting them out can yield great photos. However, keep an ear to the radio so you will know if you do need to take cover. The stretch of the Oyate Trail between Winner and Hot Springs can feel like a long ways between gas stations/restrooms, so be prepared. It's really not as far as it may feel, with amenities available at regular intervals, but to those used to a more dense population it may be a bit disconcerting. One of the saddest chapters in Native American history came to a tragic end at Wounded Knee on the Pine Ridge Reservation. A memorial in the cemetery here commemorates the massacre of 350 Indian people in 1890 by the Seventh Cavalry. You may have seen this monument or a replica of it in several movies, most notably "Thunderheart," with Val Kilmer and Sam Shepard. This is also the site of the 1973 occupation of the village of Wounded Knee by members of the American Indian Movement. 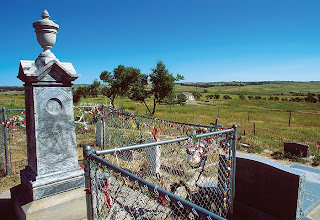 No physical evidence of either activity remains at Wounded Knee, but it is a very historically important spot to the Lakota people. As you reach the western border of the Pine Ridge Reservation, you will begin to see the Black Hills in the distance. Hot Springs is your gateway city to the mountains here. It is just south of Wind Cave National Park, which I have posted about several times, and just north of the Black Hills Wild Horse Sanctuary. Hot Springs has enough photographic hot spots that I will leave it for a separate post. Continuing west on South Dakota Highway 18 will bring you to Edgemont, at this end of the Oyate Trail. Check my past posts for a very interesting photo opportunity lead by Rock and Pine Adventure Tours. There are many varied landscapes, historical sites, museums, etc. that I have not mentioned in this brief description of the Oyate Trail. If you do a little exploring on your own, you are sure to find photographic subject matter of all kinds along the trail. This is an extremely informative post, Chad. It is also one of my favorite cross-state drives, second only to Hwy 34. I take either of these routes as an alternative to I-90 whenever time allows, and good photo opportunities are plentiful, especially in spring and fall. Thanks Greg! Yep, Hwy 34 is another great two-laner. 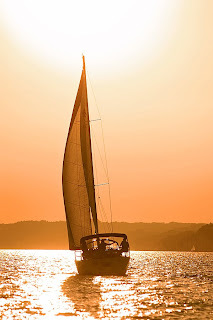 Love the subset sailboat photo. 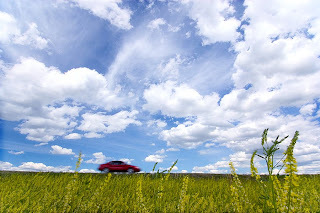 gorgeous; A friend and I will be doing some day trips this spring and summer. Thanks for this blog...very inspiring. Thanks Laurie. I'd love to see some pictures from your trip. Have a good one!